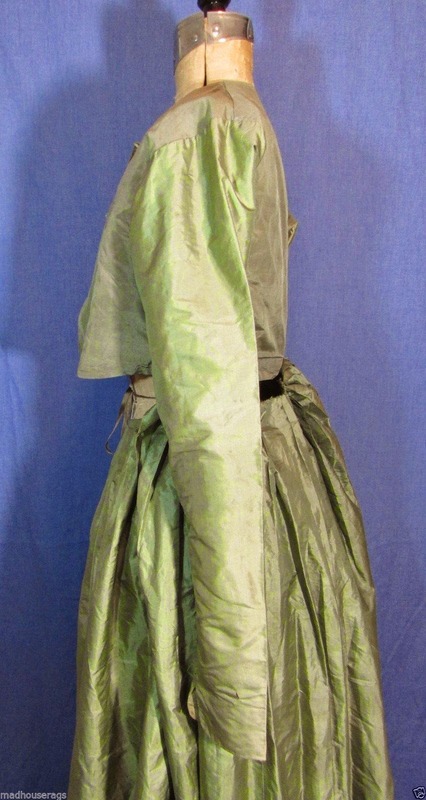 This is a late 18th or early 19th century fine silk dress. 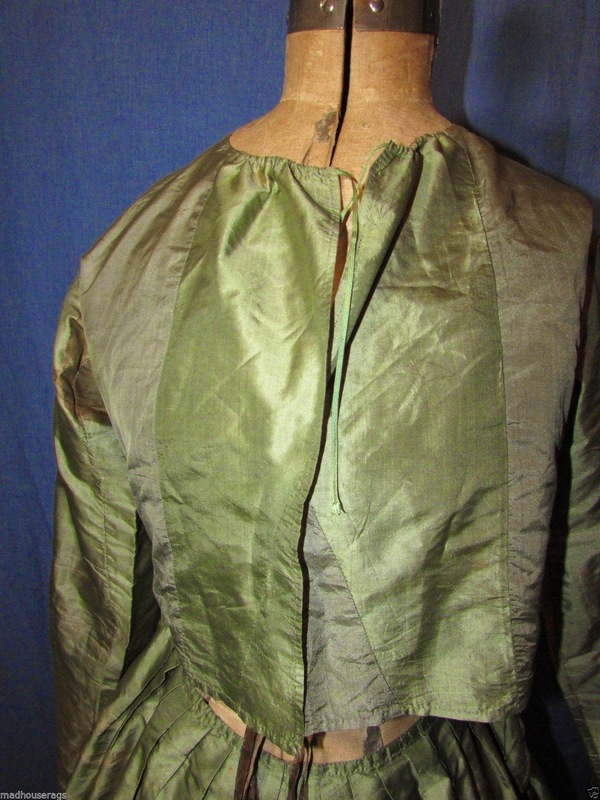 The bodice has drawstring ties at the neck, the sleeves taper below the elbow, have a "split" at the wrist. 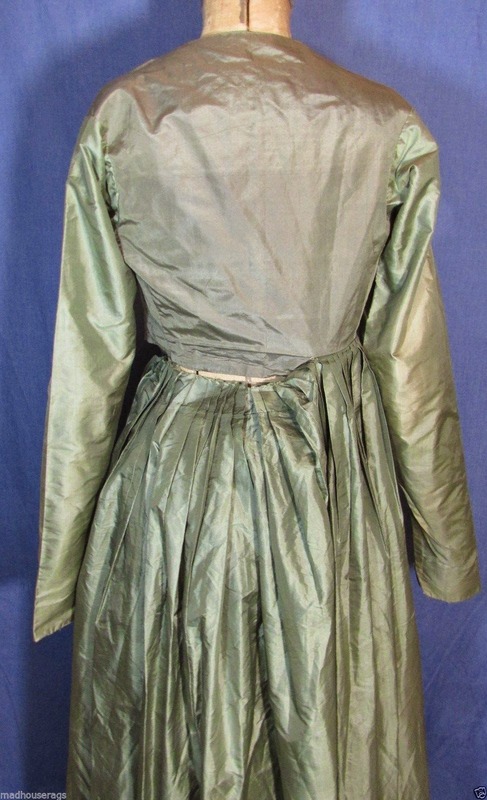 The bodice is lined with fine linen, the sleeves with brown cotton. 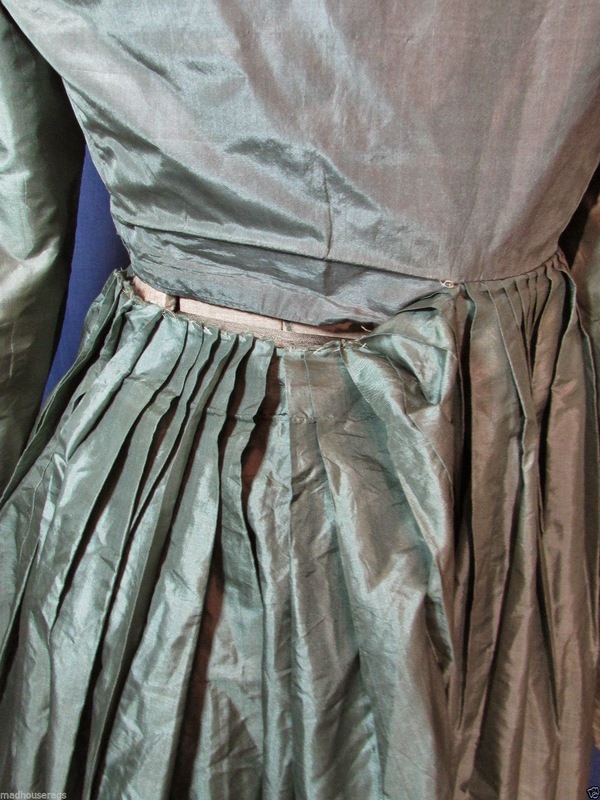 The skirt is pleated, has two brown silk ties, which I believe would come around to the front and help to keep the overlapping bodice in place. The mannequin's waist is too long for me to show this. The pleated skirt is partially attached now to the bodice, and would need to be reattached, as you can see in the pictures. The skirt is unlined, except for a 3" brown cotton hem. In good overall condition, with underarm discoloration. There are two faded areas on the skirt, which should be visible in the pictures above. There is also some more subtle color change/fading to the sleeves. There are 3 small tears to one upper sleeve. The skirt needs to be folded over and reattached, as mentioned previously. The bodice is finished at the bottom edge, the hem, along with the rest of the form, neckline, waist, and sleeves, look to be original and unaltered, making this a rare transitional gown of the late 18th and early 19th centuries. Color is a muted green. International bidders might be charged additional customs or postal fees once the package has entered their country, which are in addition to my own shipping charges. Please contact your local post or customs office if you have questions about these fees. 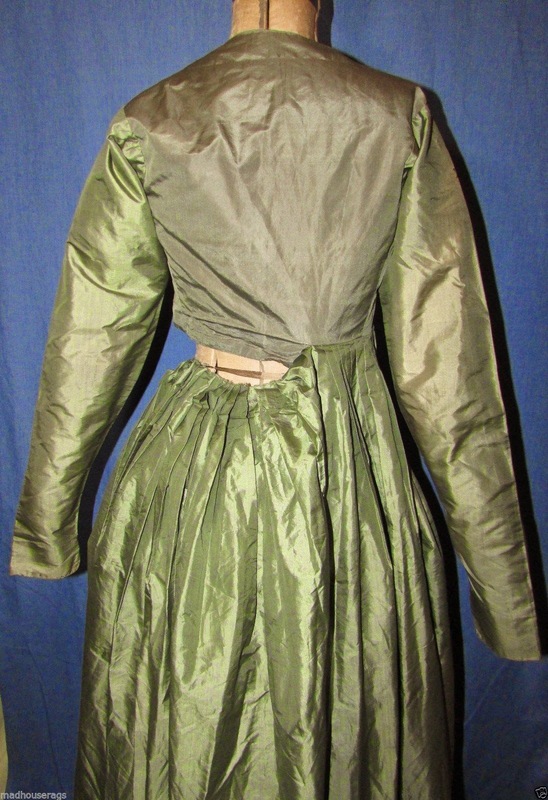 Late 1780's/early 1790's - you can tell this was originally a very different style dress (the faded areas) that was redone to fit the new revolutionary style. Click on the fashion plate above for a wealth of late 18th C/first part of the 19th C Fashion plates. 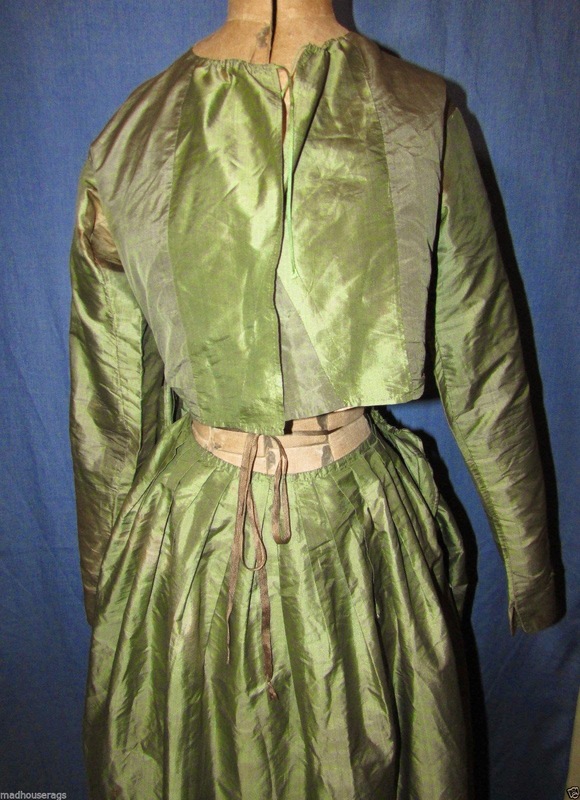 The fashion plate I posted is similar to how this dress would have been worn around the late 1780's.